Our last Startup Salon was in April. We looked at the role building a community or a tribe plays in helping founders build a business. This looked beyond the traditional approach to building a network to a more connected way of building a following for your business based on a shared purpose. Here is Janice with the panel. On her left is Noel King, co-founder of Coolest Projects, Marisa Denker, co-founder of Connect the Dots and Mindaugus Petrutis, founder of Sketch Labs. 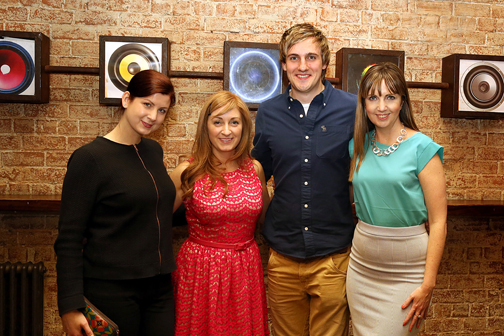 On her right is James McEvoy, co-founder of House my Dot and Jennifer Hourihan, founder of Oathello. 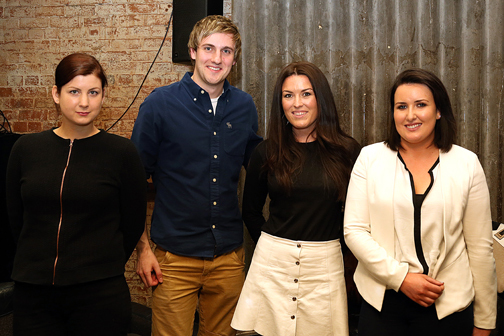 Derek F. Butler, GRID Finance; Orla McCallion, UniTuition, Eamon Sayers, World Sports Team; Michelle O’Donnell Keathing, Women for Election and Matt McCann, Access Earth. The second Startup Salon took place during the Startup Gathering in 2015. This event was for students and graduates interested in startups. Here’s Janice Valentine, founder of Great Life Distillery, with the panel (from left to right) Elaine Lavery, Improper Foods, Shane Lynn, KillBiller, Russell Banks, Investor Sheet, Janice, Ian Lucey, Lucey Technology, Triona Campbell, beActive. The first Startup Salon was on 23rd July. We were very thankful to have such a great panel to launch this series. Eleanor Moss, Leonora O’Brien, Chris Devaney & Janice Valentine. 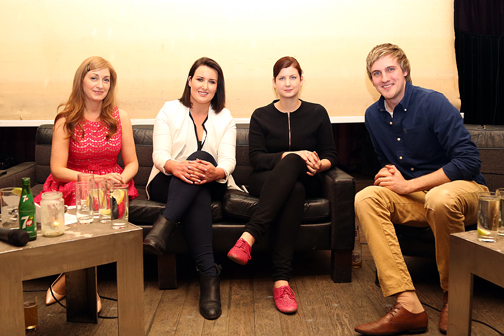 Leonora O’Brien, Niamh McHugh, Eleanor Moss, Chris Devaney.